We know your wedding is one of the most important days of your life. At Neumann Enterprises, we take pride in offering the best Wedding Limo service packages available. We offer you a Wedding Limo Package that is tailored to fit your needs as well as your budget. We completely understand what your wedding day means to you and the importance of your wedding day experience. Don’t let your budget hinder you from achieving an unparalleled wedding limo service to fulfill your wedding day dreams when it comes to determining your wedding limousine service budget and/or company. With our extensive experience in the Wedding Limo rental and luxury transport chauffeur industry, we are able to offer a highly professional and competitive rate for limousine service. Our reputation for providing impeccable wedding limo service and customer service is something which we are extremely proud of and strive to maintain and/or exceed. Our entire staff have taken several classes of training in customer service and have been handpicked for their ability to provide outstanding customer care and support for our clients. With our experience providing limousine service for many weddings, we can suggest which wedding limo nj package is right for you. 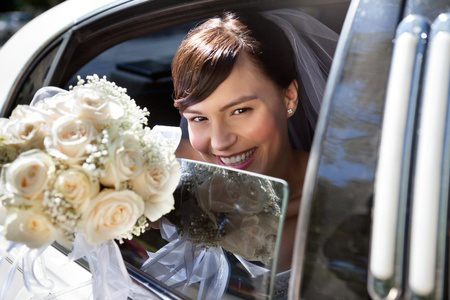 Exceeding your expectations is more than just providing quality wedding limousine service. Our company policy is loyalty to our customers. We want to be your Northern California Wedding Limo service company when you have a special occasion after your initial special occasion.